I love making a difference to people's lives through excellent service. 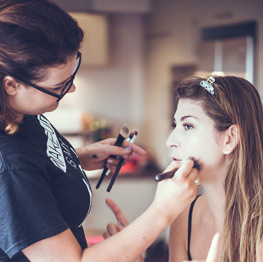 I always wanted to be a successful makeup artist and now I enjoy being able to translate my passion and enthusiasm into showing people how much more confident and happy they can feel with beautifully and professionally applied makeup. I take a friendly and down-to-earth approach, and pride myself on blending my professional abilities with a real empathy for people. I genuinely enjoy my work and being with people on a daily basis, and this translates to a service which is tailored personally to each individual. I always go the extra mile to ensure my clients are happy with the outcome and I strive to ensure my positive energy and enthusiasm is infectious, leaving clients with a good lasting impression. I have a wealth of satisfied and returning clients willing to recommend me and I hope you will become one of them! 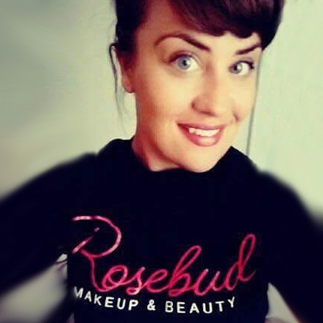 Becky founded Rosebud Makeup in 2014 to help bring high quality makeup and beauty services to the people of Worthing. 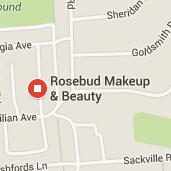 Her friendly, happy and enthusiastic streak gave personalised and professional service to all her clients, whether it’s makeup for special events like wedding days, or having a relaxing massage, she takes pride in all the treatments she provides. 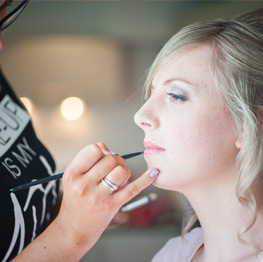 Having been a professional makeup artist for over 8 years, specialising in wedding and photography makeup. With her years of experience behind her, you can be sure you would be receiving the best service and advice in and around the local area. 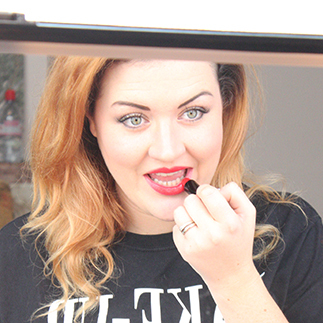 I have been a professional makeup artist for over 8 years specialising in wedding and photography makeup. I worked for Yves Saint Laurent for 4 years as a Counter Manager and before that, I was a Professional Makeup Artist and Development coach. Rita is a professional in her field of reflexology. After a session with Rita, you will have a feeling of complete relaxation,improvement in circulation, quality of sleep, improved mobility, increased energy levels, bringing your whole body and mind into balance. Kaylea is fully qualified and insured massage therapist trained at Brighton City College, she has trained in many different forms of massage including swedish/deep tissue massage, Indian Head massage, pregnancy massage and hot stone massage.